The first American Women's Club (AWC) meeting in Oslo was a luncheon given in September of 1934 by Mrs. Thomas Bevan, wife of the American General Consul, who invited 14 American friends to hear a talk by the president of the American Women's Association of Vienna. In February 1935, a constitution and bylaws were approved and monthly dues were adopted. The group met in each others' homes until January 1936, when a permanent meeting location was found at Teatergata 7. A library of shared books was an important focus of the meetings, which were held regularly until the German occupation of Norway in April of 1940, when the Club ceased officially to exist. The few American women remaining in Oslo met informally in their homes, sharing their limited food and offering mutual support. The library was carried to the meetings in two battered suitcases. After liberation in May 1946, membership began to increase. The Club was reorganized and in September 1947, the Oslo Handelsstand became its new headquarters. Also that year, the AWC Scholarship was established and fund-raising for a philanthropic purpose became an important aspect of club activity. The club began to award the scholarship every two years and a scholarship committee was formed to publicize the scholarship, receive applications, screen and interview candidates, conduct all correspondence, and award the grants. The preferred field of study is "advanced education in care and treatment of handicapped children and adolescents," but also includes public health, geriatric care and preventive medicine. share the Norwegian experience with American friends. Our membership is comprised primarily of American women, but up to 25% of our membership can be women from other countries, as sponsored by American club members. 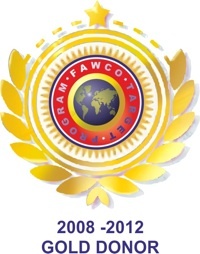 As of January 2011, we have 185 members total. The Club adapts to their needs by providing an arena for networking, professional development, individual support, family and leisure activities, as well as social and philanthropic involvement. Members pay annual dues and participate in numerous activities throughout the year. These activities are philanthropic, social, or most often a combination thereof. As a nonprofit organization, the proceeds raised throughout the year go towards our American Women's Club of Oslo Scholarship, as well as other charitable organizations, such as the Norwegian Cancer Society and the Oslo Crisis Center. We are very proud of the work we do with our scholarship and in the Oslo community. If you would like to help us in our efforts, financial donations help us achieve more and are very much appreciated. Donations can be made through the link at the top of our webpage. Credit card donations are also accepted. 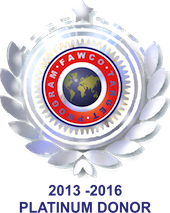 FAWCO an international network of independent volunteer clubs and associations comprising 65 member clubs in 35 countries worldwide, with a total membership of around 12,000. 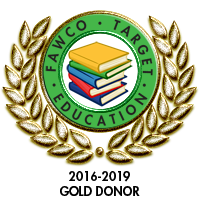 AWC Oslo participates in FAWCO's annual conferences and actively supports FAWCO programs. The American Women's Club of Oslo is one of several organizations under an umbrella organization called the American Coordinating Council of Norway (ACCN). The purpose of the ACCN and it the organizations it unites is to provide a network for Americans and Norwegian-Americans in Norway. It also coordinates the annual Independence Day Picnic in Oslo's Frogner Park, which takes place every year on the Sunday preceding July 4.